Super Max has it all. He’s a superhero with a flashy uniform and a great head of hair. Sure, sometimes the evil Dr. Malevolent pops up to cause trouble. But Super Max has defeated the villain over and over again. This time is different. This time, Dr. Malevolent’s plan works . 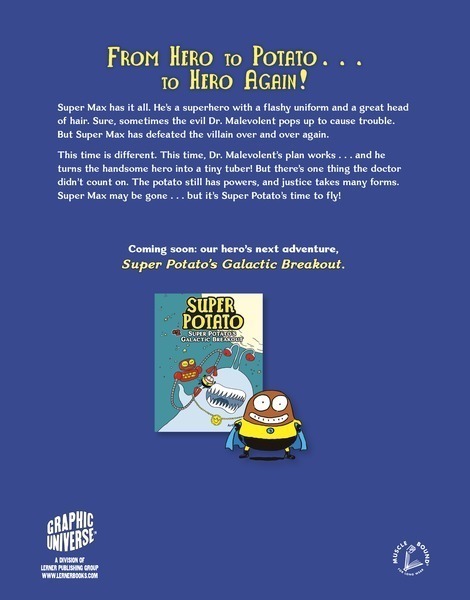 . . and he turns the handsome hero into a tiny tuber! But there’s one thing the doctor didn’t count on. The potato still has powers, and justice takes many forms. Super Max may be gone . 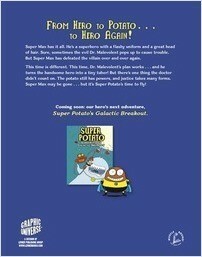 . . but it’s Super Potato’s time to fly!